Indoor air quality is a key component of the healthy building / healthy design movement and forms a central part in all the big certification programs such as WELL, Fitwel and the International Living Future Institute. It is also a component of biophilic design as it is returns the indoor built environment to a more natural state, similar to the type of air we were breathing for millions of years while evolving on the planet, i.e. fresh, clean and pollution-free. This in turn opens the door to several bio-hacks designed to improve overall health, sleep and mental acuity. Remove outdoor shoes at the entrance religiously, switching to dedicated indoor only shoes such as slippers, sandals or simply go barefoot, depending on the climate. This is non negotiable and half the world’s population think nothing of doing it so adopt the habit or you’ll face an uphill struggle from the start. Your shoes drag in toxins and all manner of dirt from the streets outside, just look at the soles of a well-worn pair of white trains to remind yourself of what is out there. Leave them at the door. Invest in a shoe rack and place it by your entrance. Set your feet free and breathe deep. 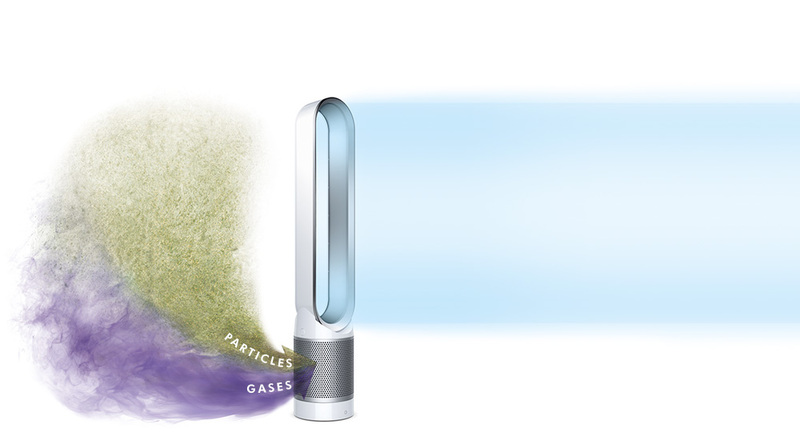 Invest in an air purifying fan such as the Dyson Pure. Not only does it have the trademark Dyson aesthetic, meaning it will happily sit in the corner of your bedroom or living area without being a visual eyesore, it also comes with an impressive smartphone app that allows you to set on/off timers, view air quality data in real time and generally get the most out of the hardware. All you’d need do is set the fan to turn on automatically around 5pm each evening and then switch it to night mode when you go to sleep. This would ensure you have clean indoor air in your bedroom for +/-8 hours while sleeping. If you then set up something similar in your office, where you likely spend another +/-8 hours every day, you’re winning. Go big on air purifying indoor plants, yes they have been over-hyped since Instagram gave us plant-stylists but there is plenty of substance to work with here so stick with it. NASA famously did a seminal study on the top air-purifying plants (see below) but the key is not just the species, but the quantity too. Research has shown that between 6-8 such plants are needed per person per room to have any meaningful impact. In any case, plants look and perform best when carefully clustered in groups, like mini forests or jungles, so this is a win-win. Pick up a selection of different height Palms, Ficus, Chinese Evergreens, Garden Ivy, Boston Ferns and a Pothos or two and you’ll be ready to breath clean once you’ve spread them around your home. 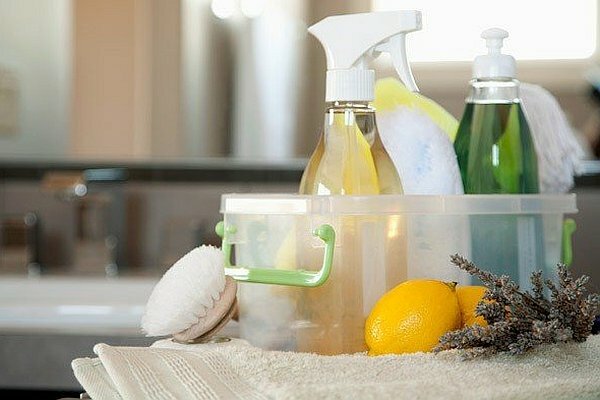 Adopt an eco-friendly cleaning protocol in the house; rather than lining up endless plastic bottles of chemical-heavy products, step back a minute to consider the alternatives. Recent years have seen a proliferation of environmentally-friendly cleaning products with names like Ecover, GreenWorks and so on. They are not hard to find even in mainstream supermarkets as consumer consciousness slowly edges in this direction. Buy in bulk and decant into a smaller, re-usable bottle to reduce plastic waste. Consider the most basic of options such as using diluted white wine vinegar as a kitchen or window cleaner. Source eco sponges made from sustainable materials as you’ll likely burn through one a fortnight, once it discolours, it is time for a new one. Use natural ventilation wisely. If you live on a quiet street, in a small town near a park, forest or sea, you will likely have enviably good air quality, one would hope. Open the windows and let the fresh air in whenever you can, especially in the early mornings. This is a natural instinct in many of us anyway, especially in certain cultures where open windows are a way of life. The issue clearly is when the outside air is of conspicuously poor quality in a dense urban environment; in such instances the best solution may be to open windows at the rear of the home away from the street, or to open them at times of day when there is less traffic outside. By consciously taking stock of the air quality outside in other words, one can take steps to protect and improve the quality of the air inside your home as well.